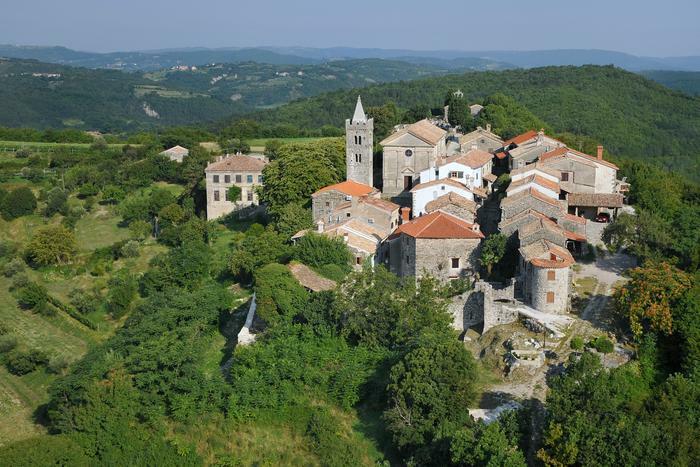 It's true that Croatia is not known for megacities, but on the other hand it's home to the smallest town in the world – Hum. With the population of only 17 people, Hum wears this unusual title with pride. This old medieval town is almost 1000 years old and throughout the centuries nothing has been built outside its walls. Once there, you might easily feel as if you traveled one thousand years back in time since the town practically hasn't changed at all. The status of the smallest town in the world is not the only interesting thing about Hum. The fact that it's part of the Glagolitic Monks' Lane makes it an important aspect of Croatian culture as well. The Glagolitic Monks' Lane is a cultural sight encompassing 11 monuments that commemorate old Croatian script – the Glagolitic alphabet. It starts at a place called Roč and ends in Hum with a welcome note written in the glagolitic script on the main town gate.